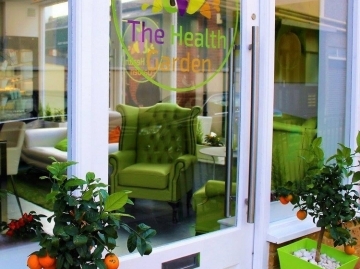 At the Health Garden, they aim, not to change your eating habits completely, but to help you feel the best you can mentally and physically. They realise that this means something different to each of their individual customers, who will each have their own unique goals! Whether they can educate you about the food you are eating, introduce you to healthy alternatives to common ‘problem foods’ or merely make it easier and ‘hassle-free’ for you to make the healthier food choices you aspire to eat, they believe that any difference is the right direction is a positive one. Say goodbye to ‘fad diets’ and start your lifestyle change or continue on your healthy journey with us today! They have tried to put together a nutritious-packed but tasty menu, that offers a variety of different options for vegan, vegetarian, gluten-free and high-protein diets. However, whilst all our food is health focused we realise that a full vegan, paleo or raw lifestyle isn’t for everyone, and have tried to satisfy the super health-conscious to the healthy lifestyle ‘novice; who is just starting out in trying to alter their diet, and make small changes to become more healthy. They will be developing and adapting their menu gradually over the next few months, and would love to hear your feedback on what you enjoyed, and what you would like to see on menu! Their specialty is making ‘typically unhealthy’ dishes healthy – try their raw pizza for example! At the Health Garden, they believe that you should feel good about eating out, not guilty – this can be easily achieved when all your food is prepared from fresh! They, therefore, aim to prepare everything from scratch, using only fresh, local, ethically sourced, and where possible organic ingredients to ensure they know exactly where your food has come from. You certainly won’t find any anything artificial in your meal, and definitely no added sugar (Their food is flavoursome enough without it)! A lot of time and care has been spent on your food before it reaches your plate, for example, their raw buckwheat oats and nuts are soaked overnight to release all the nutrients to their granola which is made from scratch using their dehydrator. Likewise, the bases for their pizzas are made from raw blended vegetables, which are then dehydrated. Their Soups, salads, juices and smoothies are also all made from raw produce.